Database Performance Monitoring for Amazon DynamoDB by DataSunrise allows to monitor database performance and timely detect as well as eliminate obstacles to Amazon DynamoDB processes. With right information at hand you get a reliable solution to Amazon DynamoDB error assessment and prevention during DBMS operation. 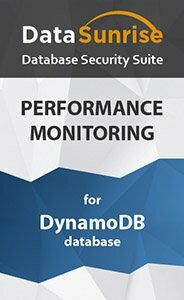 Amazon DynamoDB Monitoring of DBMS performance by DataSunrise is an instrument that can be used in various ways starting from application debugging and development when an entire Amazon DynamoDB performance is logged and ready to be used for assessment and ending with detection of weak points that cause delays in DBMS operation. Solve problems caused by Amazon DynamoDB malfunction and errors by analyzing logs with detailed information on database performance. The information recorded in logs can be effectively used to identify what causes Amazon DynamoDB problems and delays, solve issues in DBMS operation and prevent their reoccurrence. Be ready to face performance issues and vulnerabilities in the database engine and find solutions to solve them with Amazon DynamoDB Monitoring of DBMS performance by DataSunrise.